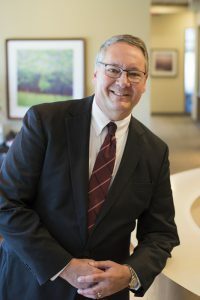 Dennis obtained his Bachelor of Business Administration degree from the University of Wisconsin – Madison in 1977, graduating “With Distinction.” After graduating, he joined local CPA firm Fitzpatrick & Roberts, CPA, which later merged with national firm McGladrey & Pullen. In 1992, Dennis left McGladrey & Pullen to become Controller and then Chief Financial Officer for Capital City Distribution, Inc. Capital City was a worldwide distributor with sales of over $150 million. In late 1996, Dennis helped the Company’s owner arrange a profitable sale of the business. In January 1997, Dennis joined Meicher CPAs, LLP where he became a partner in 2000. Dennis is a member of the AICPA, the WICPA and the National Association of Certified Valuation Analysts. He is past-president of the Southern Chapter of the WICPA, a past member of the National Association of Wholesale/Distributors and helped found the Madison Chapter of the Construction Financial Management Association. In November 1998, Dennis successfully completed the NACVA exam and was awarded the Certified Valuation Analyst designation. Dennis currently performs business valuations for the firm. He also heads the business litigation area and has testified in a variety of areas such as divorce, family support, economic damages and financial analysis. Areas of Specialized Knowledge: Individual income taxation, corporate accounting and taxation, business valuation, business litigation and executive compensation. Favorite Outside Activities: Travel, home improvement projects and automobiles.